How to edit Hierarchy? How to add, delete users and change relations? You can edit hierarchy right away by drag and dropping the users from the Hierarchy builder panel to the left. 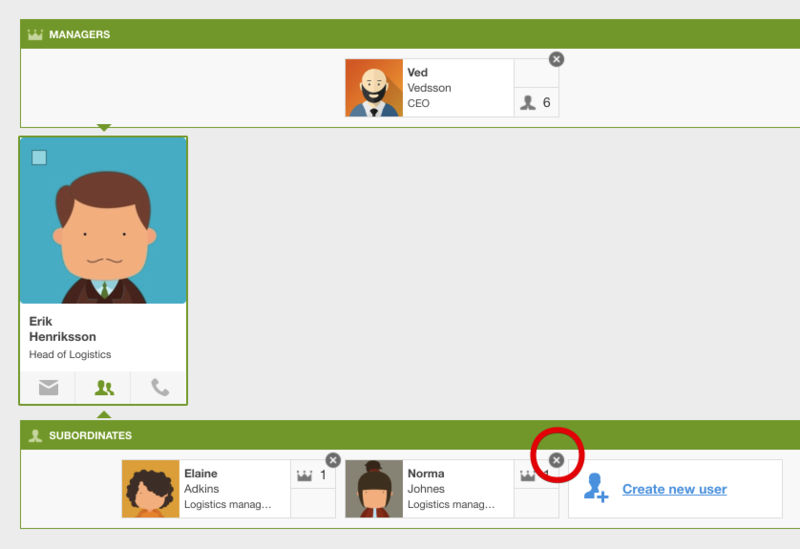 You will find a Hierarchy builder panel where you can see the list of all the active users. If you want to see only the free users(with no manager) - just put away the checkbox. To add a user as a subordinate simply choose a person and hoover it on his's future manager. To delete a user from the Hierarchy you need to go to the User's manager profile, open his hierarchy and click cross on the user you want to be deleted. The relation manager-employee will be removed.